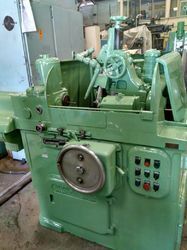 XLO (USA) Thread Grinding Machine Specs: XLO (USA) Thread Grinding Machine We are your single and best source for buying and selling USED Equipment. Our esteemed clients can avail from us an extensive range of Thread Grinder at industry leading prices. In line with clients' variegated requirements, we manufacture and supply a distinguished collection of the CNC Thread Grinding Machine. - Used to produce accurate threads in hard materials. We offer Thread Grinding Machine to our clients. To meet the various requirements of the customers, we are involved in offering a wide assortment of Thread Grinding Machine (CNC Precision Cylindrical Grinding Machine G300T). 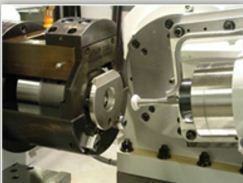 Tsugami Precision Engineering India Pvt. Ltd. Diameter - 250 , length - 700.